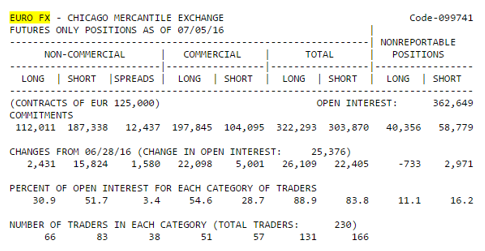 FOREX TRADING GUIDE: WHAT IS COT REPORT, AND HOW TO FIND IT ? WHAT IS COT REPORT, AND HOW TO FIND IT ? 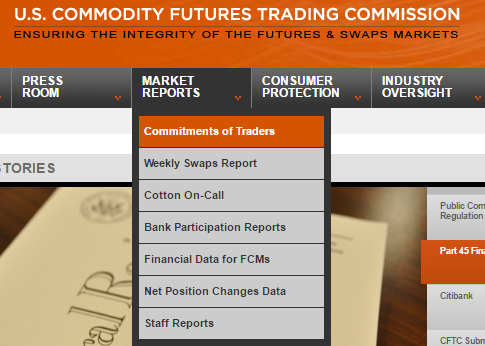 Commitment of Traders (COT) report was first published by the CFTC in 1962 for 13 agricultural commodities. The main purpose behind this publication was to inform the traders about the future market conditions. 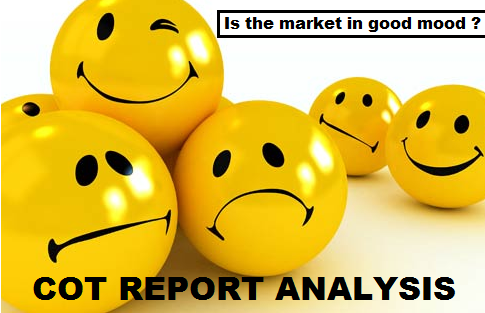 Today COT report analysis is one of the widely applied sentiment analysis tools. Sentiment analysis is one of the dimensions of currency market analysis. Currency trading became attractive to the traders in recent years primarily because of the technological advancement. Technical analysis had been being used for years by the traders to trade the financial instruments, and the technical analysis techniques were appropriate to be applied on currency trading. One of the most important and attractive technical trading method is volume based trading, but the huge currency market is decentralized and volume data are not possible to be obtained. That is one of the primary reason behind the attractiveness of COT report analysis in currency trading, because COT report presents the positions of the big individual and institutional traders. The most recent versions of the COT report not only explains the market conditions of some commodities rather it presents market conditions of almost all internationally traded financial instruments. This is my first post in yourFXguide about COT report just to introduce this great tool to the traders who never heard about this report. Okay, first of all let me tell you the way to get this report. 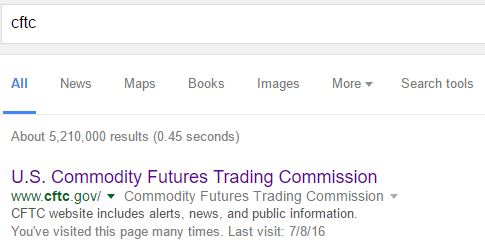 It is very simple, make a google search with the keyword "CFTC", and follow the first link. So, you are already on the official website of CFTC. Now from the menu at the top of the home page, click on the market reports menu and then click the commitment of traders menu. 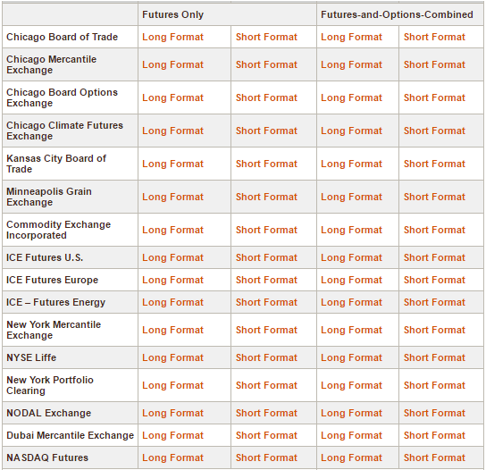 It will send you to the main page of COT report that is updated every week. Scroll the page down, you find different exchange bodies and two primary types of reports futures only and futures and options combined. The reports are available in both short and long formats. Generally, the short formats are used to make sentiment analysis. It is very important for the report users to know where they can find the desired data. For example, if you are trying to make a COT report analysis to find the market sentiment about EURO, you should know where the data regarding EURO currency can be found.To find the data about EURO, we should click on the "Short Format" that belongs to Chicago Mercantile Exchange. The short format of COT report looks like the above illustration. Before starting to analyze the report, the analyst should have the knowledge on the terms presented on the report like commercial, no-commercial, open interest etc.